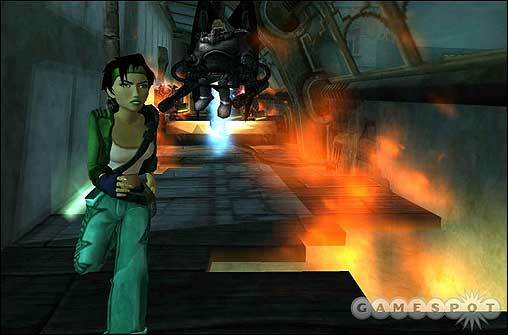 Name the Video Game, from the screenshot. Last edited by Avron on Thu Sep 06, 2007 1:27 am, edited 1 time in total. Re: Name the Video Game, from the screenshot. Beyond Good and Evil. Highly undervalued game apparently. EDIT: did you find that screenshot from GameSpot? Just google'd it, you turn. That game is very highly undervalued, I own it. Yeah, just have to wait for someone to put up another pic. Well i'm going to bed now so i will leave it up check in the morning to see who get's it. sam_levi_11 wrote: medieval 2 total war? Not even. Trust me, I own it. But I know I've seen that before, but where! Its Warcraft! Ive figured it out! Already guessed it, he said no. Is it Age of Empires 3? vtmarik wrote: Is it Age of Empires 3? I'm just trying to make sure, because if we do I'm gonna give my turn to you. I'd say rise of nations, but I'm not to sure.